Okay I decided to do my first dedicated product review video, I needed to just actually tell you how good The Butter Source ‘Pineapple’ Beard Butter is! This product is incredible, if I had to pick one product right now to use, it would be this one. The Butter Source website http://www.thebuttersource.com/ is now up and running, you can get the 150g Beard Butter for £14.99 in the Pineapple or Chocolate, Mint or Vanilla and I can’t tell you how damn good this is, get on over there, buy some and see for yourself! Here is what they say about their products! In some cultures, a beard is a symbol of masculinity at its peak… celebrate your masculinity with beard butter by ‘The Butter Source‘. Made with natural ingredients to promote hair growth, all of our butter products have a shea butter base, combined with essential oils and heavenly scents, beard butter by ‘The Butter Source’ will have your beard healthy beyond your wildest expectations. • What is Shea Butter? • Why should I use products by ‘The Butter Source’? The Butter Source brings you products that are designed to moisturise and condition the hair and skin. Shea butter aids in the skin’s natural collagen production and contains oleic, stearic, palmitic and linolenic acids that protect and nourish the skin to prevent drying.Ice your beard with our Beard Butter. Whipped to perfection. Soft and luxurious. Indulge your beard with our Shea Butter base, created to soften hair folicles and promote a strong and healthy growth while moisturising and nourishing down to the root. 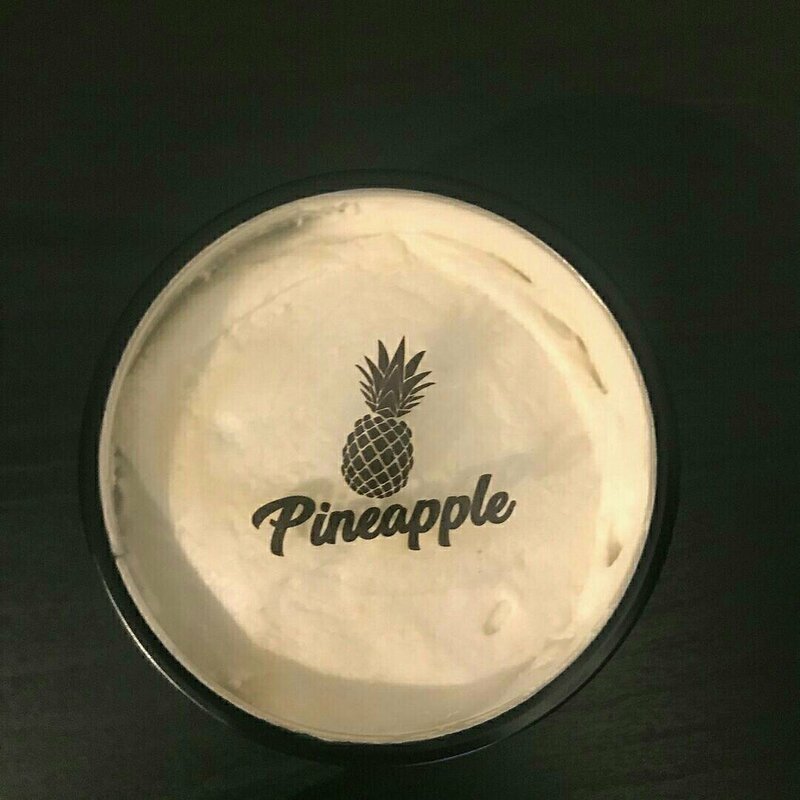 Be the envy of your friends with our delicious signature pineapple scent. Grow the beard you’ve always wanted. Say goodbye to malnourished, brittle hair and welcome a strong, full, manly beard.Shine your beard with our Beard Oil Mist. Finish off your beard care routine with this fresh scented oil mist, designed to give your beard that added sheen. Bring dead hairs back to life with this hydrating oil mist. Refresh your beard. Make a change. Be a Man.Open the doors and let luxury in…You haven’t had a beard until you’ve experienced “The icing on the beard“…Are you man enough to try??? My experience when buying from the butter source was them taking payment and not sending me the product. Then not responding to any correspondence. Ah something has gone wrong, I will send them a message for you! Spoke with them Marcus and they have sent another one out for you, they were busy with some family issues. They sent nothing, not even an email. Thankfully, I paid through PayPal so I have managed to get a refund. That is a shame, I have honestly found them to be a great brand. I guess all companies have issues. I have only been using the The Butter Source butter for a couple of days, but have been compelled to write about it. This stuff is totally amazing, it surpasses any oils or balms I have ever used. The light whipped butter is perfect for my beard as it leaves the flow & fluidity I like in my beard. Also gives the beard a healthy shine and a good hold. I have always preferred the more woody aromas rather than the fruity/citrus ones, but the pineapple aroma is fantastic, fresh and lasts all day. Would recommend this one and all. Totally impressed with this product. I’m glad you like it, it really is an incredible product!